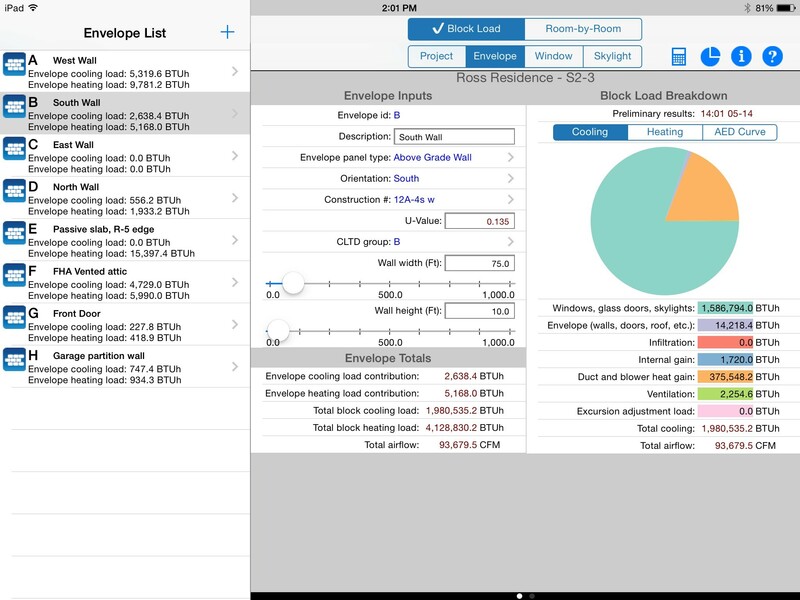 The NATE ResLoad-J app was developed by Carmel Software for North American Technical Excellence, Inc. (NATE), and it is the same as our HVAC ResLoad-J app except that it is co-branded specifically for NATE. 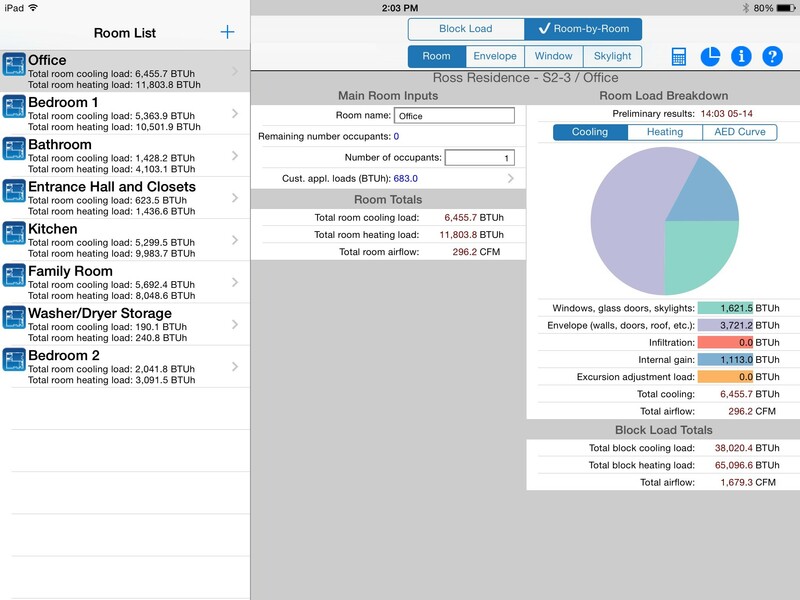 The NATE ResLoad-J app for the iPad is an ACCA-approved HVAC cooling and heating load calculation app. It performs peak cooling and heating load calcs per ACCA Manual J8 for both residential and lighting commercial buildings. This is a "native" app, so results are calculated instantaneously. No lag time between input and calculations. 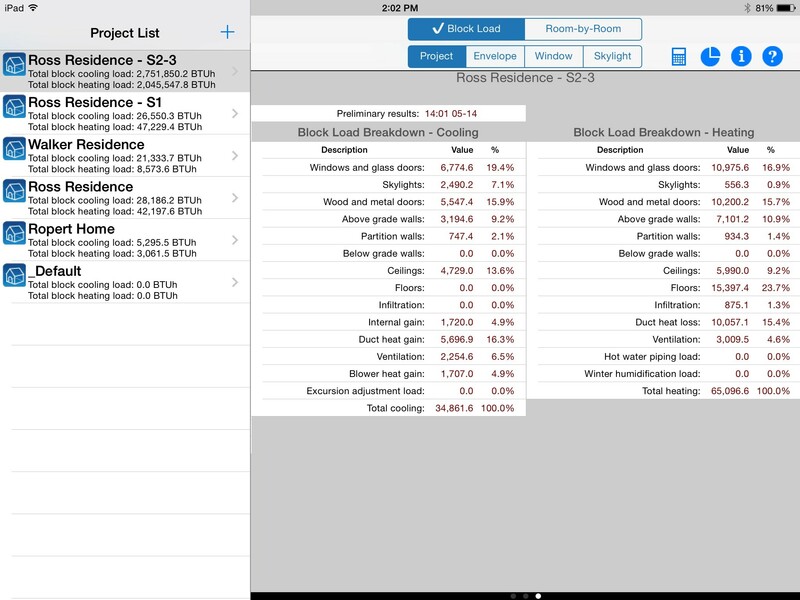 You can create HVAC load calculations while at the work site using your iPad and produce advanced on-screen reports for your clients. We provide full email and phone support for all of our apps. If you don't get a live person right away, one will call you back within the day. Designed to make you more productive. NATE ResLoad-J offers instant total heating and cooling load results as you update fields. Envelope inputs include envelope type, envelope construction number, dimensions, and opening areas. 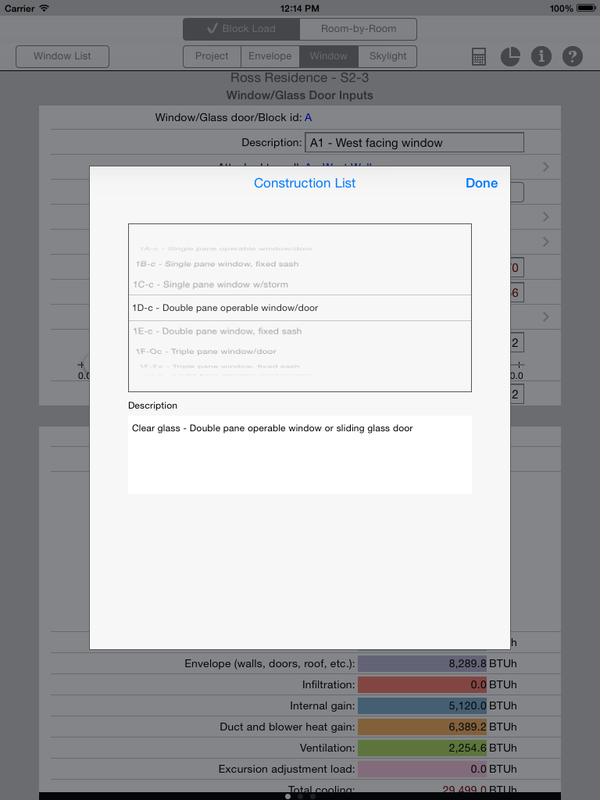 Window inputs include window type, internal and external shading type, overhang dimensions, window area, and more. Skylight inputs include skylight type, dimensions, orientation, and more. You can also perform room-by-room cooling and heating load calc analysis. 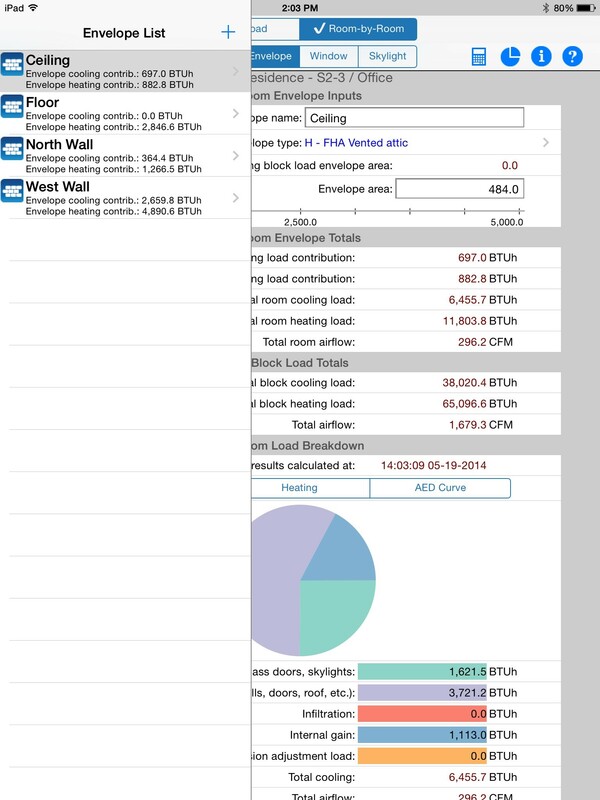 Once you're ready, in a few taps you'll have comprehensive reports that can be broken down by envelope load, window load, skylight load, infiltration load, ventilation load and internal load contributions. On-screen reports offer checksum reports (ie – BTUh/SqFt, SqFt/Ton, etc. 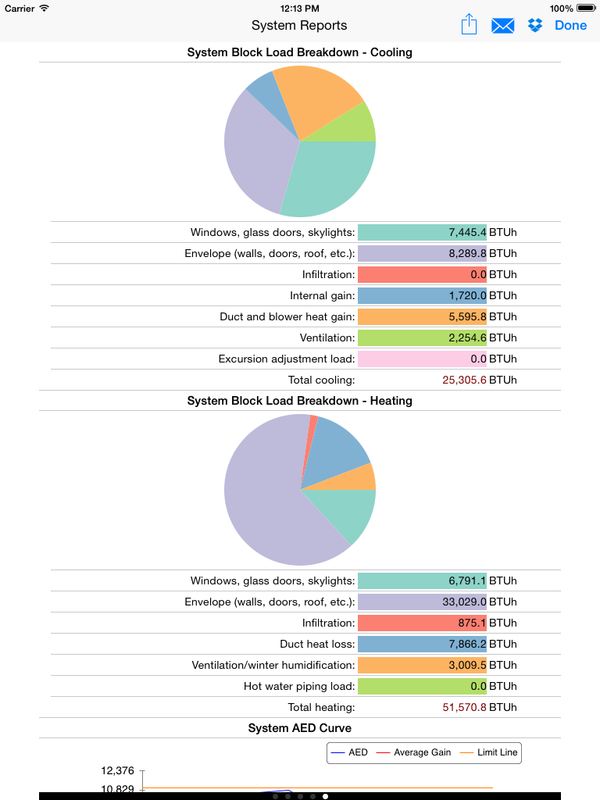 ), complete heating and cooling load breakdown reports, and even graphic eye-pleasing pie charts showing cooling and heating load breakdowns. Easily view reports online, convert to PDF's and email to yourself or others and even download in a spreadsheet format to customize further. Once you start using NATE ResLoad-J, we think you'll agree it's worth thousands of dollars. 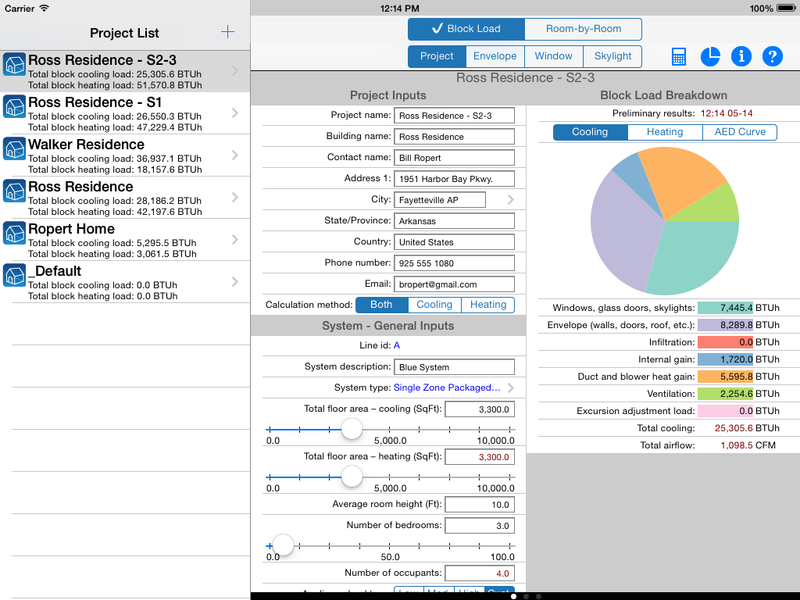 With your iPad and NATE ResLoad-J, your business can dramatically reduce the time it takes to perform load calculations, minimize costly mistakes - and help your business run more efficiently! Our newest version of the ResLoad-J app also includes the full version of the HVAC Equipment Locator app built right in. This is an iPad app that lets your track, share, and customize your equipment nameplate and maintenance data. It's the perfect complement to the ResLoad-J app: perform your heating and cooling load, then store information about the equipment you are servicing. We're very proud that NATE ResLoad-J is ACCA-Approved. That approval means peace of mind every time you create and send reports from HVAC Res-Load-J to municipals, officials and other building authorities. ADD MORE DETAIL HERE AS TO THE IMPORTANCE. We're very proud that NATE ResLoad-J is ACCA-Approved. That approval means peace of mind every time you create and send reports from NATE ResLoad-J to municipals, officials and other building authorities. Includes the full version of our HVAC Equipment Locator app built right in. You can switch between the Locator and the ResLoad-J functions with the press of a button.